Fendt. A big plus for grip and soil. The new Fendt seal: Pre-owned. Checked. Like factory-new. Since the Agritechnica 2015, a new certificate for tested and technically faultless, high-quality pre-owned Fendt machines celebrated its premiere: Fendt Certified. This certificate stands for Fendt quality like “factory-new” for our pre-owned machines – includes a one-year Fendt Warranty. 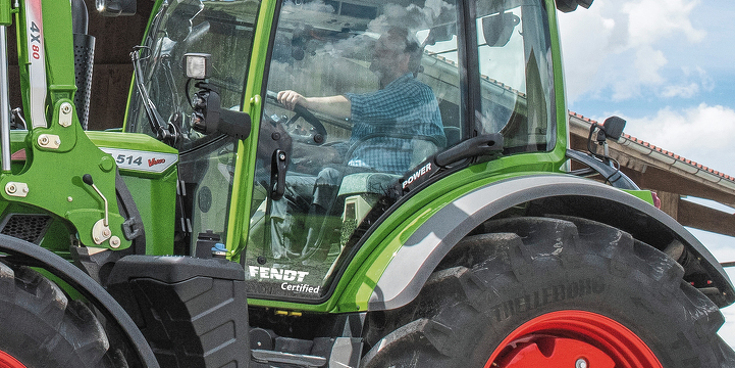 That gives you security and retention of value: Whether tractors, combines or forage harvesters: machines that have the new Fendt Certified seal of quality have undergone thorough, intensive inspection at the dealership – and get a one-year warranty from the day they are bought. Thereafter, the warranty can be extended, if the customer wishes, through the Fendt Warranty programme. For Fendt tractors up to eight years old or 8,000 operating hours. For Fendt combines and forage harvesters up to five years old or 3,000 operating hours. AGCOTrader.com, the new used machine exchange from AGCO, offers you used machines, from almost all brands, on an international platform - offered by AGCO dealers. You have quick and easy access to a large selection of used combine harvester, tractors, balers and more, from different European countries. 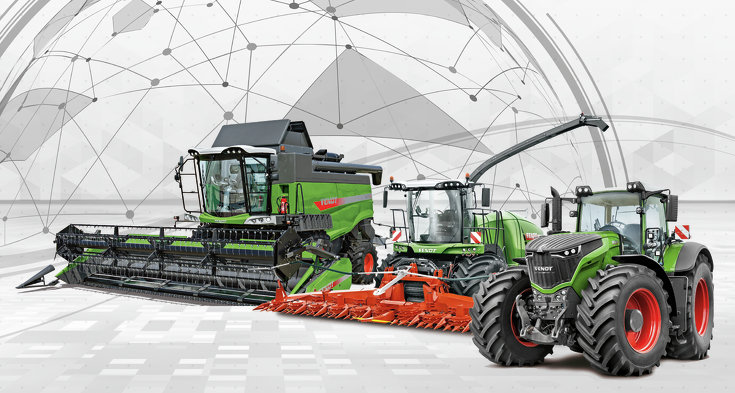 Fendt® is a worldwide brand of AGCO. © 2019 AGCO GmbH. All rights reserved.